A solid power rack is one of the most important parts of a home gym. 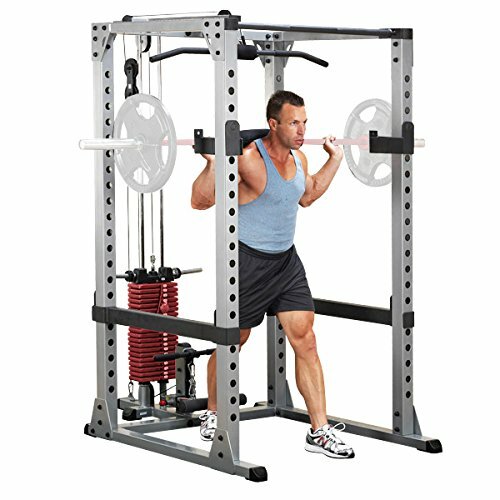 The power rack enables you to work out major muscle groups, with the addition of a few smaller muscle groups as well. A Body Solid Power Rack means quality. 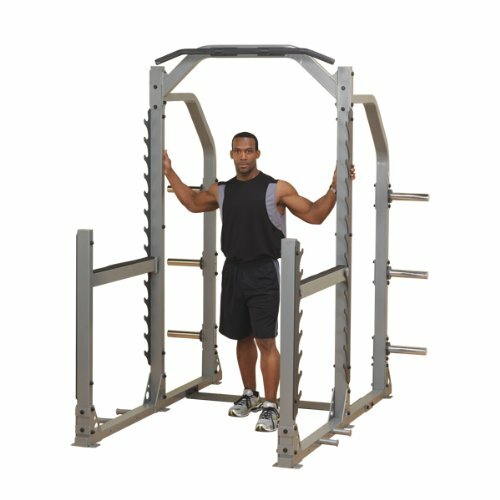 The brand is a top seller when it comes to home equipment and the Body-Solid Pro Power Rack stands tall for the amazing and unique features it incorporates. Muscle building has always been one of my strengths and when it comes to helping people, I prefer working with bodybuilders, rather than fitness athletes. The power rack is one of the most utilizes pieces of equipment and I felt the need to share my experience with you. Using Body Solid power racks gave me a chance to see some of their weaknesses and strengths. Body Solid has been a trusted brand for many years and while the prices might be a little steep, they cater mostly to commercial grade gyms and fitness clubs. If you consider yourself a professional fitness lover or bodybuilder, Body Solid is one of the top brands to look for. The brand also offers great additions that can be used for your power rack. All users could easily find one that meets their needs. The Body-Solid Multi-Press Rack is a little smaller compared to some of their other power racks. It is lightweight and can be used for all your major muscle group training as well. Fitness Superstore – 4/5 from multiple reviews on various power racks. The negative reviews are mostly regarding the setup and the fact that it takes quite a while to fully assemble. One reviewer noted that it took up to two hours to fully assemble. The weight capacity is what makes or break a power rack. The better this weight capacity is the more weight the bar can handle. Bodybuilders expect massive weight capacities, especially during the bulking season. Power racks like the Body-Solid SPR1000 Power Rack can hold up to 1000-pounds in weight and the plates on the side. The weight capacity is all due to the materials used in the construction. The 11-gauge steel will not move or shake in any way. This adds to the longevity of the rack and you need not worry about having constant maintenance either. Body Solid designs racks and bars that will stand the test of time. These power racks are designed to not only last you for multiple years but to ensure you can workout efficiently while you have it. As mentioned, 11-gauge steel is mostly used for the construction and the additional powder coating will keep the steel thoroughly protected from any real damage. The key addition to most power racks is the adjustability level. The more slots it has, the more versatile it can be. Multiple slots are included in all these power racks, making them perfectly suited for both beginners and pros. Another aspect to take into account when it comes to the adjustability is the different bars that are added. Body Solid has placed additional dip bars on a few of the power racks. The addition of the chin-up bar expands the workout into new directions. The spacing between each hole is around 1-inch and even though it is not indicated, it should give you a general idea if the rack is fitted for you. I have seen a couple of beginners over the years and while it is recommended for them to start with machines and cables, they still find the urge to test out the power rack. Fortunately, Body Solid has put in a lot of effort to make these racks for everyone. The entrance is extremely wide and safety bars have been added. These bars can also be adjusted to fit your needs. All of their power racks are oversized and this can be seen in the Body Solid Pro Clubline Commercial Rack. It features a large entrance area and a workout area in front of the rack itself. The safety features are also taken care of for beginners as they attempt squat and deadlifts. Should the bar fall, you will be able to have it contained before it causes any more damage. Multiple accessories are available for each of these power racks. The one that is found the most is the GLA378 Lat Attachment. This attachment enables you to target the smaller muscles as well. The cable feature will enable you to work the triceps and biceps with much greater ease. If you need something versatile that helps you work out the entire body, these accessories can bring the gym to your home. Maintenance can be a real pain in the but. Not only is it expensive, but we do not need additional costs when we have spent so much on a power rack. Nevertheless, the powder coating ensures that no maintenance is needed and it maintains the stylish look that you need. The only area that might need some maintenance is when the cable attachment is added. It is worth keeping in mind that other home gyms might require more maintenance. Since you save a ton on maintenance, you can build stock up on more equipment and Body Solid has proven record of other apparatus that can be used as well. The additional plates and weight bars are also in your price range now as you save more in the long run. Lastly, the brand features quite the selection of power racks. Most are for commercial use, but they have a few smaller ones that are perfect for a smaller home gym. The range of accessories is fairly extensive, making it easy to find all the necessary add-ons that will make your workout worth the time and money. As we have already stated, the assembly is one of the toughest parts of buying a power rack. Body Solid caters for commercial gyms and fitness centers and most of the power racks are fairly heavy. The weight makes it somewhat harder to assemble and you might need someone to help you when it comes to assembling it. However, once it has been completely assembled, the rack should not bear any problems. Yes, it will be hard to move around, but you should find the right location and set up the rack. Leave it there and you should not have any problems. Many brands also have foldable racks, which is not the case with Body Solid. The racks are expensive and this could be a major drawback for most. Once you purchase it, you also receive only the rack and all the accessories need to be purchased separately. 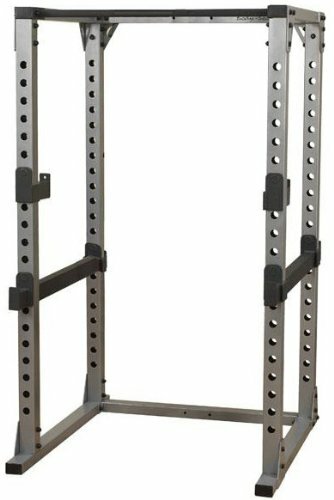 I could not find any real deals concerning these racks that will include some of the accessories. My advice would be to start with the bar and build up your collection from there. The chin-up grips might be a little wide for some users. Unfortunately, these cannot be adjusted and the bars are mostly designed for the larger and more experienced individuals. To combat this, you might need to buy an additional chin-up accessory that can be modified to ensure that the racks work to your needs. 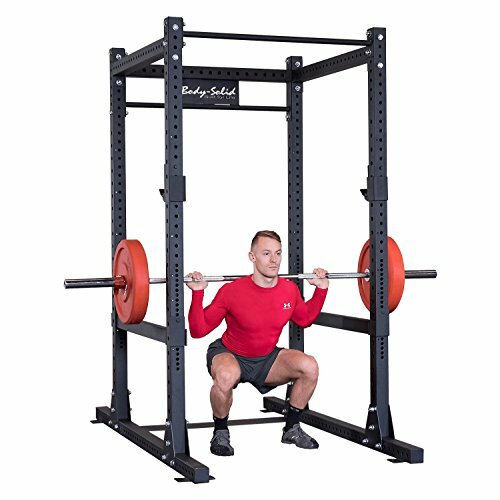 Body Solid racks and apparatus are designed mostly for professional bodybuilders and gyms and since most of the racks will meet these high standards, they make excellent long-term investments. The brand is built on providing quality and I have seen this is not only the power racks but the other fitness equipment as well. The options are plentiful and now the choice will be yours as to which one you will choose. If a power rack is not for you, a Smith machine might be. We’d like to thank you for reading this article and we would like to know more of your opinion on the Body Solid equipment. Let us know in the comment section if you have used a Body Solid Power Rack and some of your thoughts on the brand.